A new business planned by Josh andKelly Collard, Belleville, became the recipient of the 112th loan granted from the Republic County Revolving Loan Fund on Monday. The Collards plan to open Wood Shop Pizza and Coffee at 1317 18th ST on the north side of the square in Belleville later this summer. The $60,000 loan approved by Republic County Commissioners is part of a $103,000 project pursued by the Collards and includes funds for working capital, inventory, equipment, fixtures, furniture and startup costs. The business plans to create or retain six jobs. Through the years, the building the Collards are remodeling served as the NCK Electric Office, Lee’sCycle Shop and more recently, a photography studio. A public hearing was required for the project since funds originally were granted to Republic County from the Kansas Department of Commerce. No one outside of commissioners and revolving loan fund representatives attended the hearing to comment on the project. Kay Shoemaker, secretary of the Revolving Loan Committee said that Republic CountyDevelopment’s Revolving Loan program was created in August 1985 when Kansas Department ofCommerce & Housing (KDOCH) and the Federal Housing and Urban Development (HUD) allowed the county commissioners to “revolve” funds recaptured from economic development loans made to three large Republic County businesses. The initial funds were loaned to Melton Motors, Mid-America TruckEquipment and PremiumFeeders. The $663,750.00 seed money repaid through these three loans has created business development opportunities across the Republic County, with nearly $3.5 million loaned to area businesses to date. The Collards’ loan Monday was the 112th business to benefit from the low-interest funds since the first loan was drawn in October 1987, and over 260 jobs have been created through the process, said Shoemaker. “During that time we’ve had minimal loan defaults,” he added. The Revolving Loan Committee has three pools of funds that can be used, depending on the scope and needs of each individual project. Funds originally granted from Housing and Urban Development and the Kansas Department of Commerce must meet certain criteria, while a third, newer fund derived from tax credit donations and matching grants through Network Kansas have more flexibility. The Republic County Development (RCD) Committee is made up of 12 voting member volunteers from all areas of Republic County, along with the three Republic County Commissioners and the RCD Secretary/Treasurer. “RCD also works closely with the Republic County Economic Development Corporation, creating diverse lending opportunities to meet the needs of our small communities,” says Shoemaker. All loans are considered after an application and interview process, and all funds are used only for Republic County business ventures. More information on the program and loan packets are available at the Republic County Clerk’s office. Republic County Economic Development is thankful for the volunteers from across the county that serves on the Republic County Development Revolving Loan Committee. This group has been providing local gap financing since 1987 to provide an essential tool in our economic development toolbox before our organization began in 1999. Many rural cities/counties do not offer low-interest financing let alone three local options. Without this tool, many projects wouldn’t have been able to access the capital necessary to begin or expand. 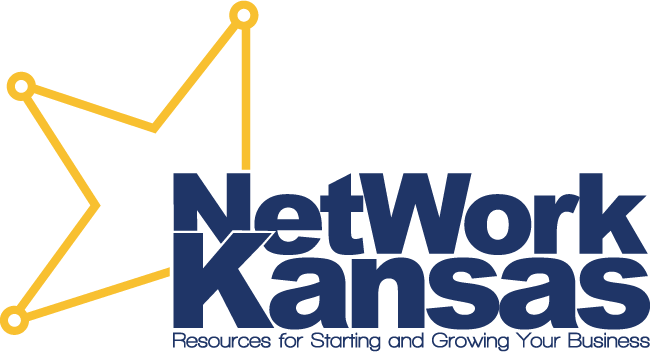 In 2014 RCED helped add the Network Kansas loan pool through the E-Community Partnership. This partnership established RCED as the “leadership team” to focus on building the county’s entrepreneurial ecosystem through classes, adult/youth programs, and training resources for businesses. The RCD Revolving Loan Committee would then administer the funds as the “financial review board”. From 2014-2018 RCED raised over $300,000 in tax credits and grants from Network Kansas while the revolving loan committee loaned $245,995 to seven businesses. In 2018, E-Community funding took a regional approach and was tabbed as a Level 1 community. That score was based on the loan portfolio and entrepreneurial activity. This allows Republic County the ability to loan up to $250,000 annually and utilize up to $25,000 for approved entrepreneurial programs like Youth Entrepreneurship Challenge, “Think Like an Entrepreneur” or the Jon Schallert Destination Business Bootcamp. Find additional business programs and incentives in Republic County here.